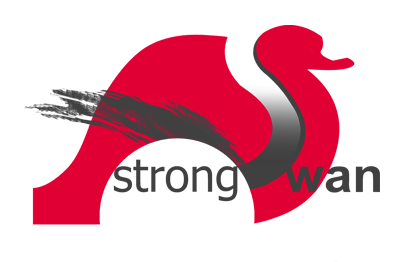 Our first post regarding strongSwan can be found here. Now, an update has been released – strongSwan v4.5.0. IMPORTANT: The default keyexchange mode ‘ike’ is changing with release 4.5 from ‘ikev1‘ to ‘ikev2‘, thus commemorating the five year anniversary of the IKEv2 RFC 4306 and its mature successor RFC 5996. The time has definitively come for IKEv1 to go into retirement and to cede its place to the much more robust, powerful and versatile IKEv2 protocol! Added new ctr, ccm and gcm plugins providing Counter, Counter with CBC-MAC and Galois/Counter Modes based on existing CBC implementations. These new plugins bring support for AES and Camellia Counter and CCM algorithms and the AES GCM algorithms for use in IKEv2. The new pkcs11 plugin brings full Smartcard support to the IKEv2 daemon and the pki utility using one or more PKCS#11 libraries. It currently supports RSA private and public key operations and loads X.509 certificates from tokens. Implemented a general purpose TLS stack based on crypto and credential primitives of libstrongswan. libtls supports TLS versions 1.0, 1.1 and 1.2, ECDHE-ECDSA/RSA, DHE-RSA and RSA key exchange algorithms and RSA/ECDSA based client authentication. Based on libtls, the eap-tls plugin brings certificate based EAP authentication for client and server. It is compatible to Windows 7 IKEv2 Smartcard authentication and the OpenSSL based FreeRADIUS EAP-TLS backend. Implemented the TNCCS 1.1 (Trusted Network Connect) protocol using the libtnc library on the strongSwan client and server side via the tnccs_11 plugin and optionally connecting to a TNC@FHH-enhanced FreeRADIUS AAA server. Depending on the resulting TNC Recommendation, strongSwan clients are granted access to a network behind a strongSwan gateway (allow), are put into a remediation zone (isolate) or are blocked (none), respectively. Any number of Integrity Measurement Collector/Verifier pairs can be attached via the tnc-imc and tnc-imv charon plugins. The IKEv1 daemon pluto now uses the same kernel interfaces as the IKEv2 daemon charon. As a result of this, pluto now supports xfrm marks which were introduced in charon with 4.4.1. Applets for Maemo 5 (Nokia) allow to easily configure and control IKEv2 based VPN connections with EAP authentication on supported devices. The RADIUS plugin eap-radius now supports multiple RADIUS servers for redundant setups. Servers are selected by a defined priority, server load and availability. The simple led plugin controls hardware LEDs through the Linux LED subsystem. It currently shows activity of the IKE daemon and is a good example how to implement a simple event listener. Improved MOBIKE behavior in several corner cases, for instance, if the initial responder moves to a different address. Fixed a bug not releasing a virtual IP address to a pool if the XAUTH identity was different from the IKE identity. Fixed the alignment of ModeConfig messages on 4-byte boundaries in the case where the attributes are not a multiple of 4 bytes (e.g. Cisco’s UNITY_BANNER). Fixed the interoperability of the socket_raw and socket_default charon plugins. So you see that IKEv2 is now the default key exchange mode. IKEv2 EAP-TLS, EAP-TTLS, and EAP-TNC (Trusted Network Connect) authentication modes terminated either on a strongSwan gateway or a remote AAA server are supported. PKCS#11 smartcards are supported for IKEv2.